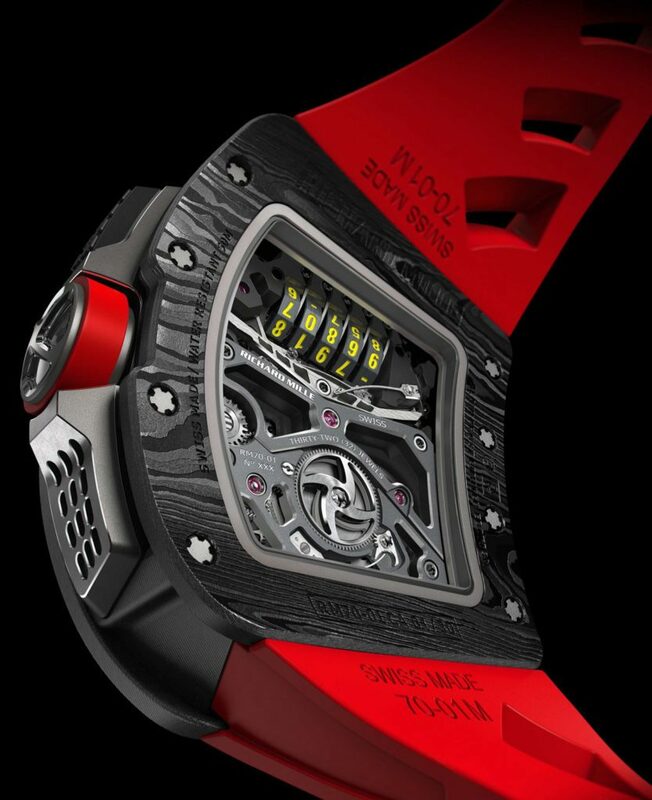 Richard Mille RM 07-01 Tourbillon Alain Prost watch is being made in a limited edition of 30 pieces. 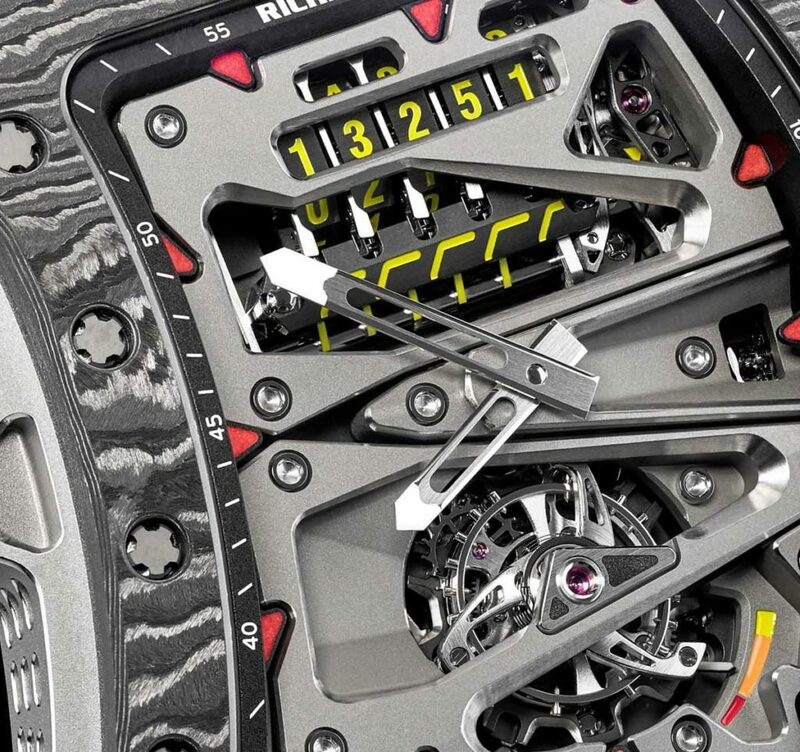 We all know that Richard Mille goes to extremes to create timepieces that can go the distance — on the tennis court, the golf course and the black top. Now, however, the brand tackles the cycling world with one of the wildest watches ever: Richard Mille RM 70-01 Tourbillon Alain Prost. The former racing driver and four-time Formula One World Champion joined forces with his friend Richard Mille to create a cycling watch that could track the entire season’s distance. With built-in odometer, this piece packs a powerful punch. Unveiled yesterday at the circuit at Le Castellet Richard Mille officially unveiled the mechanical RM 70-01 Tourbillon Alain Prost — which will be available for sale in Richard Mille boutiques starting in December. Casual cycle enthusiasts beware: there are only 30 pieces being made and each will sell for $815,000. The Richard Mille RM 07-01 Tourbillon Alain Prost watch houses an odometer with five rollers. Alain Prost, co-founder of the Renault e.dams team, and Mille talked to many cyclists before moving forward with the watch. The same issue arose with all they talked to: the inability to measure how far they had ridden since the season started. The solution: an unprecedented odometer, or totalizer, to track the distance day after day, ride after ride. The RM 70-01 features a pusher at 2 o’clock, for the wearer to select any of the 5 rollers of the odometer, to begin tracking distance. If the rider stops, he or she can press the pusher at 10 o’clock to advance to the next roller when starting again. The distances is visible via a titanium window and at the end of the day, the user just needs to add the day’s distance to the prior total. Essentially, the first pusher activates the selection of one of the five rollers. Two yellow arrows will align to indicate the roller choice has been confirmed. The second pusher rotates the roller incrementally. A Neutral position has been added to avoid accidental manipulations, and there is a visual confirmation of the neutral position (mechanism locked) via the selection fork, which lines up straight with an arrow at 2 o’clock. 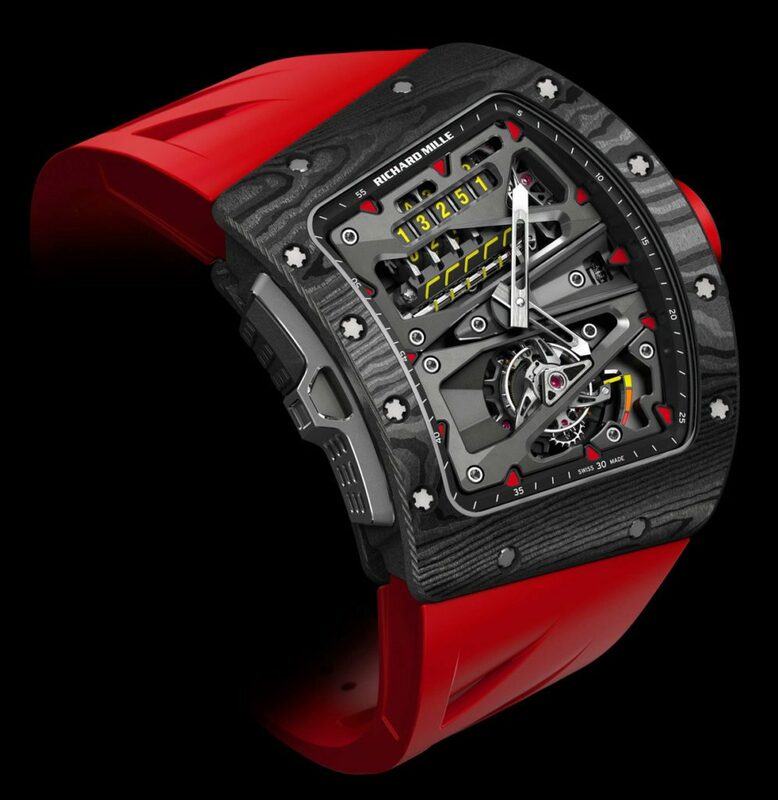 The Richard Mille RM 07-01 Tourbillon Alain Prost watch retails for $815,500. The 70 hours of power reserve is indicated at 5 o’clock. The manual winding tourbillon has baseplate and bridges crafted in grade 5 titanium for durability.The barrel and tourbillon are on a single axis and are more compact in size that usual because Richard Mille needed to make room for the odometer. As to the design of the watch, it has several subtle influences from the cycling world, including Allen screws to attache the bridges and barrel ratchet, forged wheel spoke design on the crown and tourbillon cage and bicycle pedal accents. The incredible asymmetrical case, shaped using tonneau and rectangle forms, is machined out of Carbon TPT(R) and is curved for ultimate fit. The Richard Mille RM 07-01 Tourbillon Alain Prost watch features bicycle-inspired design accents. Each RM 70-01 watch is sold with a bespoke road cycle, designed by Prost and Mille and made with Italian bikemaker Colnago. Just like the watch, the bicycles will be individually numbered and hand painted in RM colors. The Richard Mille RM 07-01 Tourbillon Alain Prost watch tracks distance ridden.